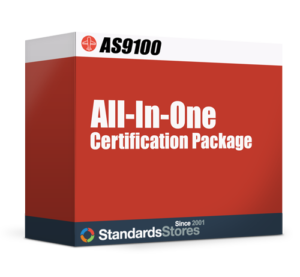 Use our All-in-One Implementation Package to lead your company to AS9100 Rev D Certification with confidence! All documents are in MS Word format for ease of editing and provide text to address each requirement of the AS9100 D Standard. We’ve numbered the sections of the Quality Manual to correspond with the sections of the AS9100 D Standard.Registrars LOVE this feature! Includes Technical Support throughout your project. We won’t abandon you after the sale.